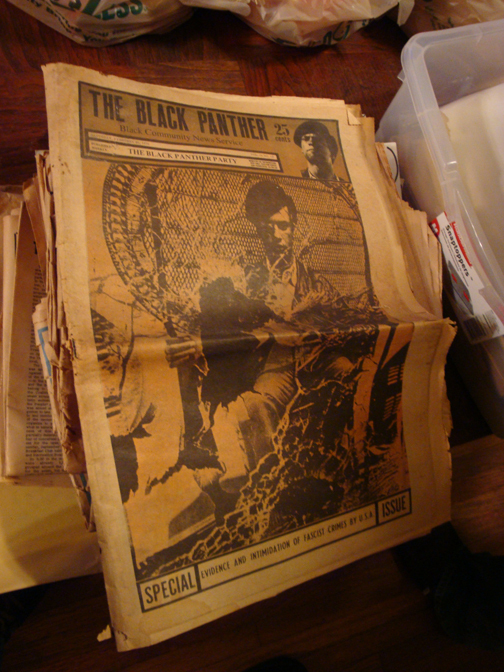 Last night I was overwhelmed with a bunch of original Black Panther archives, from news letters to news papers to member cards and legal documents, WOW! it was just very overwhelming to see all this so unexpected. My close friend Aaron Elimelech who lives in Inglewood has a few uncles that formed part of the BPP in the 60s in Los Angeles BPP chapter, he was the Director of Communications at the time. 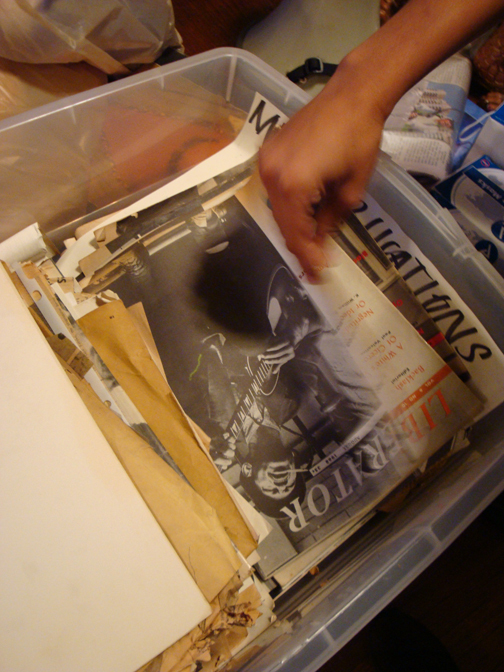 He’s name Paul Mossett (60), Paul owns about 50 pounds of papers archives. 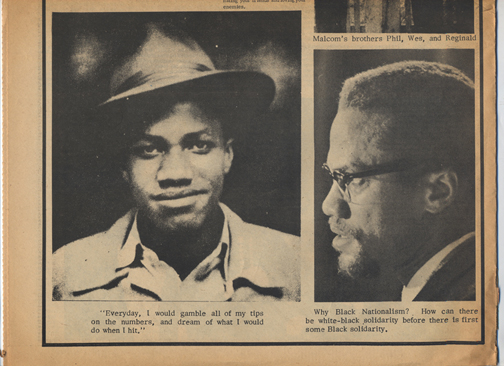 Aaron’s other uncle also part of the BPP in the 60s is Flores Forbes. 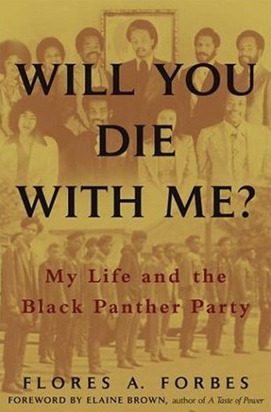 Flores wrote a recent book title “Will you die with me” (The Life and the Black Panther Party) in his own words. Soon Listen Recovery and Aaron will be archiving all documents and news papers into an album ready for presentation and viewing pleasure. Most of the memorabilia will be scan and introduce back to the people in Los Angeles before returning to his rightful owner. Stay tune for some of our stories and interviews with some of the closest characters of the Iconic Party. Flores A. Forbes, Atria. 2006. 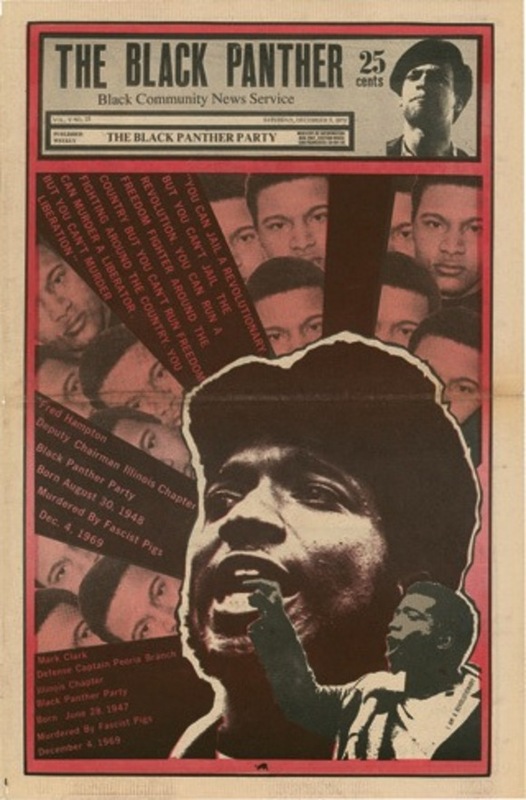 Forbes wasn’t the first 16-year-old boy to be smitten by the romance of revolution, but he is among the handful in recent American history who became top-ranking members of the Black Panther Party. His autobiography reads like a modern-day Crime and Punishment , tracking Forbes’s evolution from a comrade who thought he could “do almost anything” to achieve a revolutionary objective to a prisoner in existential crisis. Unlike Dostoyevski’s protagonist, Forbes does not generally regret his past, but reproaches himself for his vulnerability to “years of ideological and philosophical conditioning,” despite the worthiness of the Panther cause. A survivor above all, Forbes straddles passion and cynicism with equanimity, and is as willing to demythologize major figures as he is to canonize them. 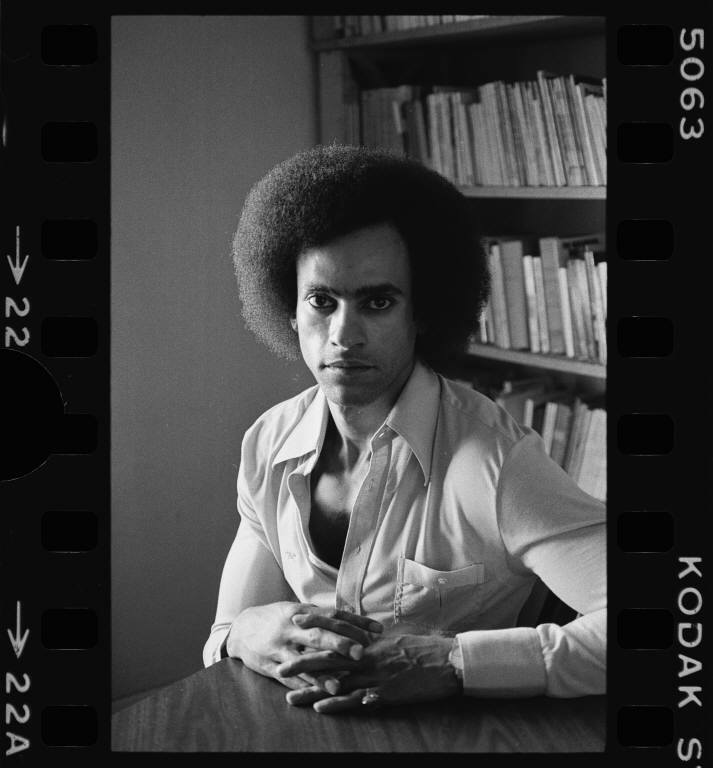 He treats Huey P. Newton with particular subtlety, alternately revering the Black Panther founder and cult hero as a genius of realpolitik and criticizing him as a cocaine-snorting, iron-fisted gangster. When Newton is accused of murdering a 17-year-old prostitute and Forbes risks assassinating the star witness to save him, one realizes that Forbes’s story is really a case study of power’s allure and attendant moral compromise, no matter how righteous its origin. 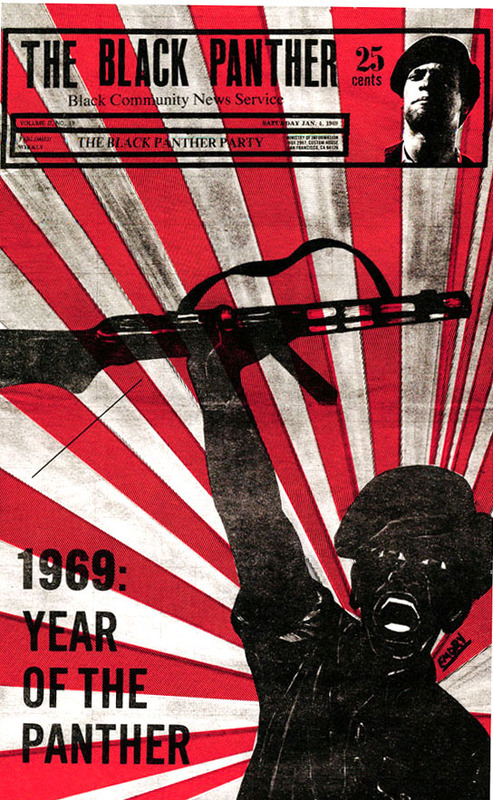 Adult/High School–Forbes joined the Black Panther Party as a 16-year-old in 1968. 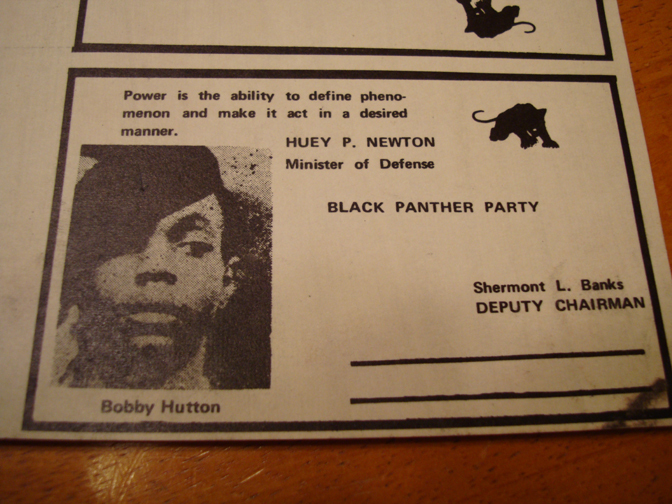 Within eight years, he had become a member of the inner circle that gave him access to cofounder Huey Newton. During the following 10 years, Forbes made a tactical error that killed a close friend and turned him into a fugitive before returning to California to face sentencing. During the past 20 years, he has completed college and graduate school, and has worked as an urban planner and small-business developer. Less scholarly than David Hilliard and Lewis Cole’s This Side of Glory (Chicago Review, 2001), but no less authentic and insightful, this book intertwines the author’s life story with aspects of the Black Panthers’ development and denouement, using street talk that both befits Forbes’s youth and makes his story a compelling nonfiction read for teens with a taste for urban fiction. The author portrays himself as analytical and thirsty for ideas even at a time when he spent his days drinking and smoking pot, and his nights protecting Oakland and Berkeley neighborhoods against incursion by non-BPP gangs. 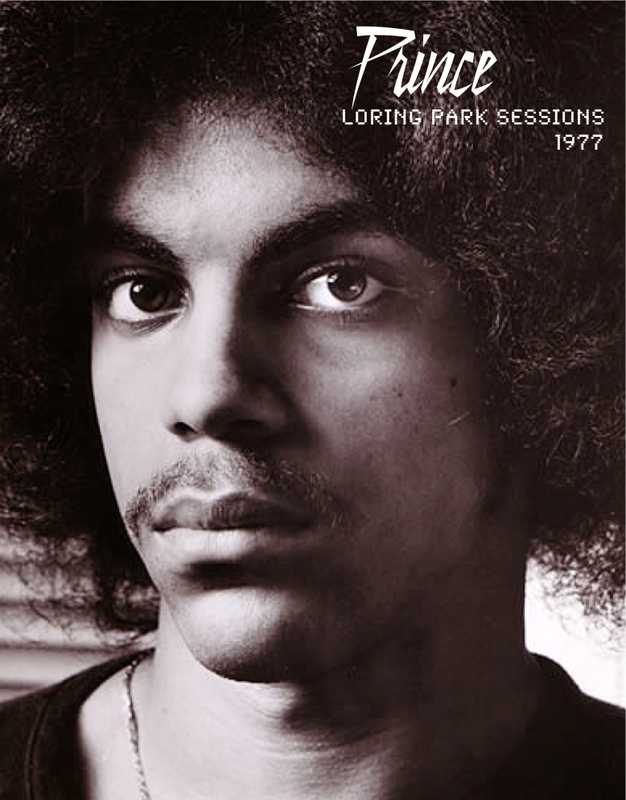 Two dozen photos are included, and a chronology provides a larger historical context for the time period. Rough language will keep this title from some school library shelves, but students will find it a valuable research tool and, for some, welcome leisure reading. 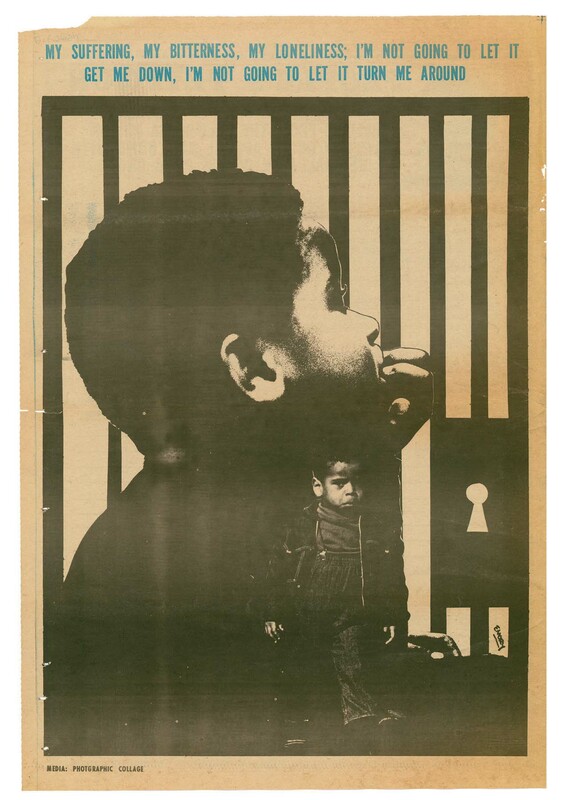 As a teenager, Douglas was incarcerated at the Youth Training School in Ontario, California; during his time there he worked in the prison’s printing shop. 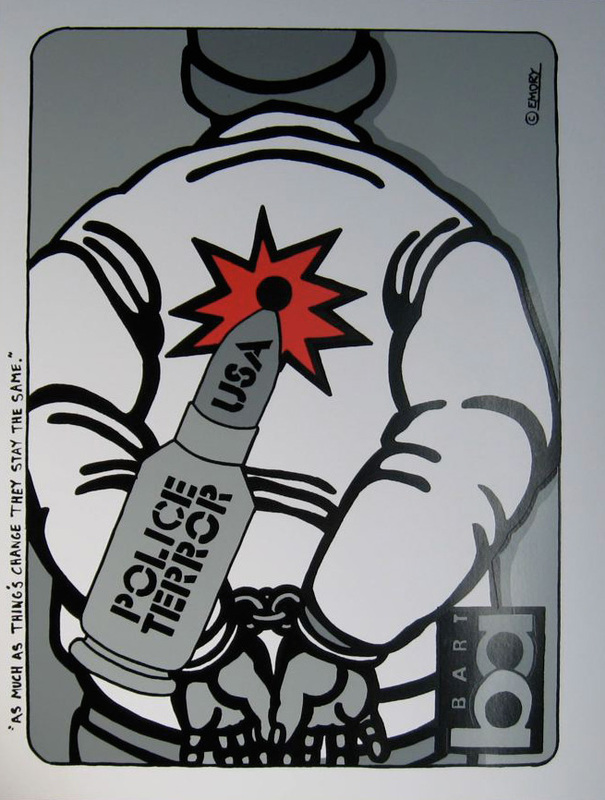 He later studied commercial art at San Francisco City College. 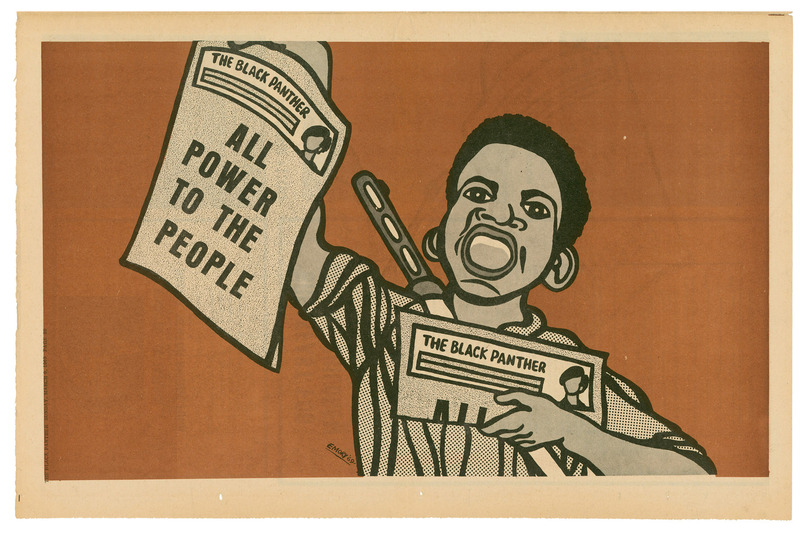 Douglas was the most prolific and persistent graphic agitator in the American Black Power movements. 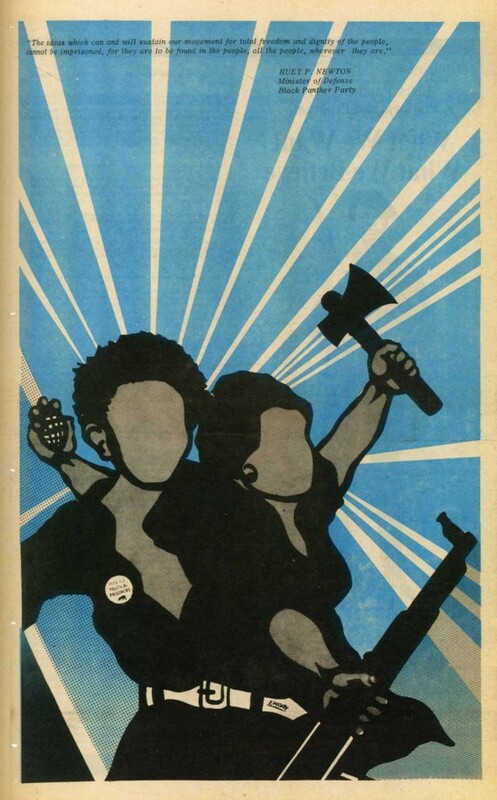 Douglas profoundly understood the power of images in communicating ideas…. Inexpensive printing technologies—including photostats and presstype, textures and patterns—made publishing a two-color heavily illustrated, weekly tabloid newspaper possible. 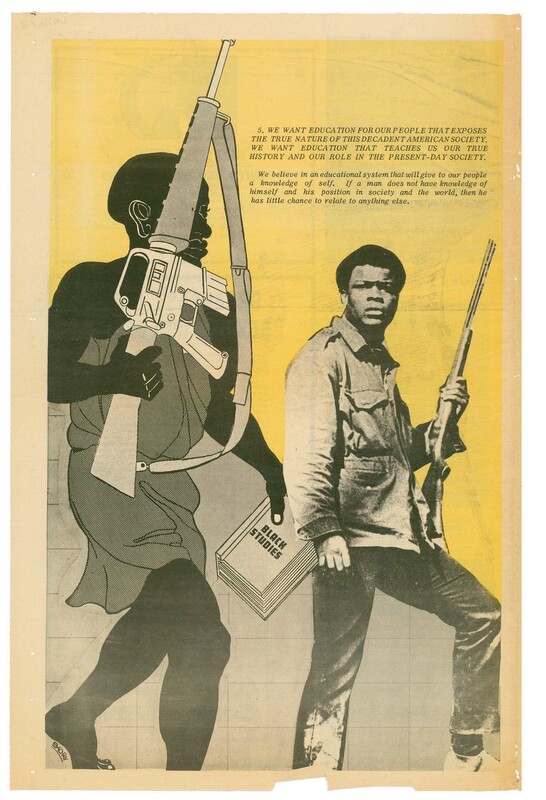 Graphic production values associated with seductive advertising and waste in a decadent society became weapons of the revolution. 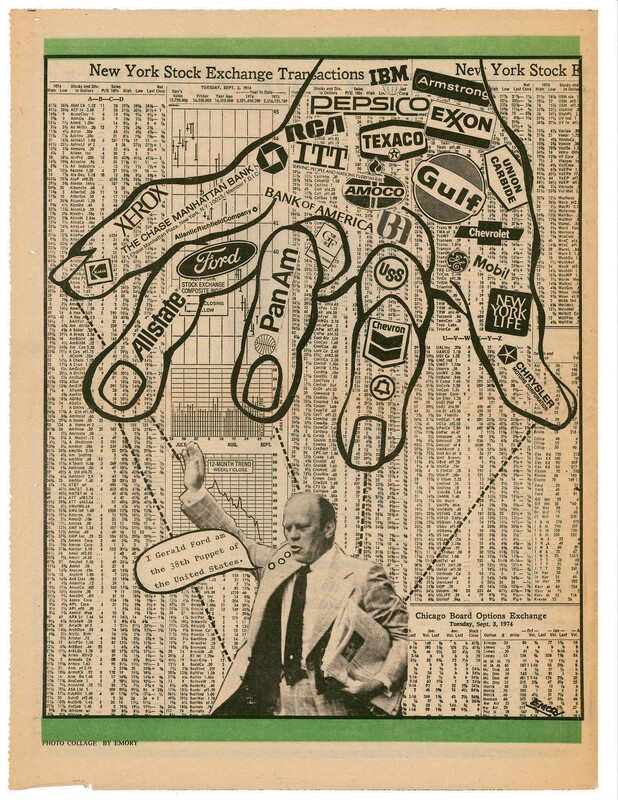 Technically, Douglas collaged and re-collaged drawings and photographs, performing graphic tricks with little budget and even less time. His distinctive illustration style featured thick black outlines (easier to trap) and resourceful tint and texture combinations. 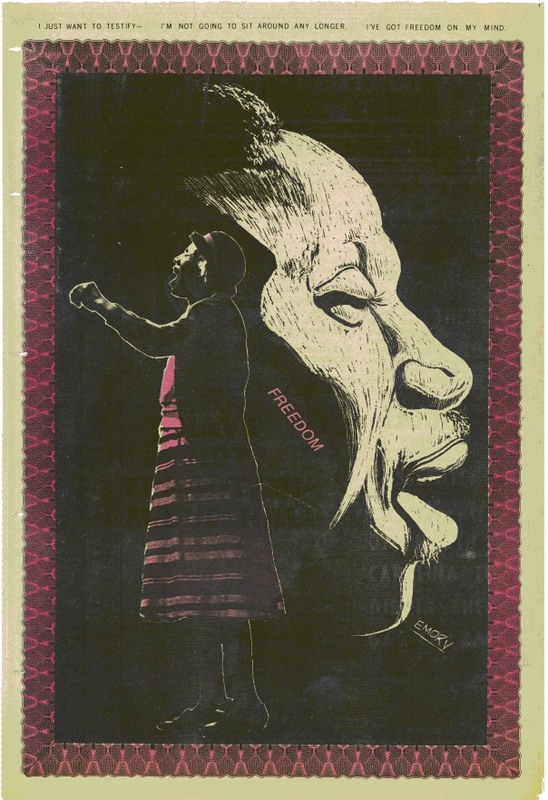 Conceptually, Douglas’s images served two purposes: first, illustrating conditions that made revolution seem necessary; and second, constructing a visual mythology of power for people who felt powerless and victimized. Most popular media represents middle to upper class people as “normal.” Douglas was the Norman Rockwell of the ghetto, concentrating on the poor and oppressed. Departing from the WPA/social realist style of portraying poor people, which can be perceived as voyeuristic and patronizing, Douglas’s energetic drawings showed respect and affection. 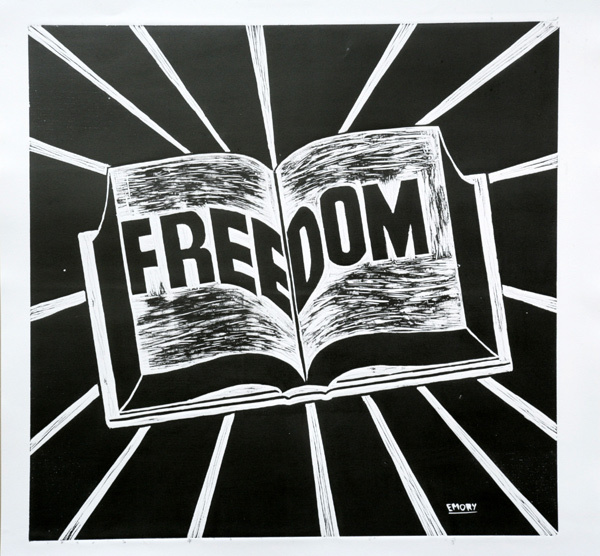 He maintained poor people’s dignity while graphically illustrating harsh situations. 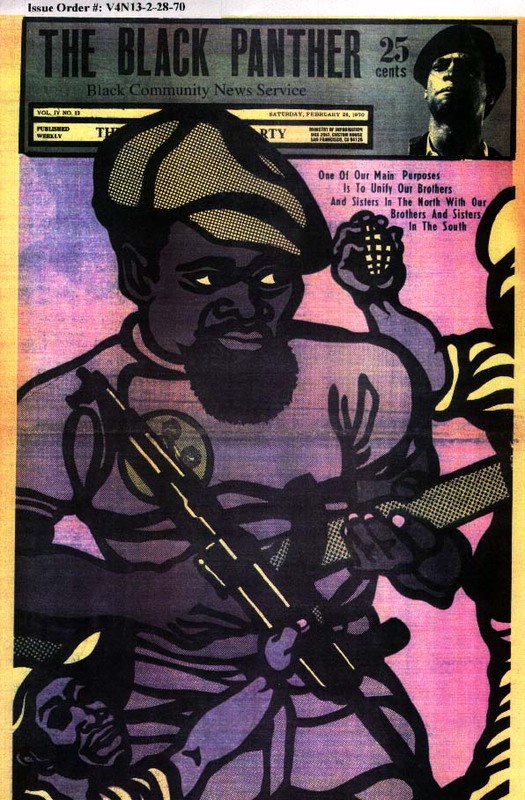 Emory Douglas and the Art of Revolution.